There is a great trouble on the Planet Earth – 99,9 per cent of people have turned into zombies. But this doesn't mean that the life has stopped! Moreover, it became even more interesting – dead people are people too. 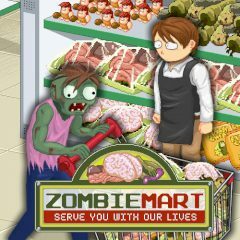 Manage a zombie market and earn as much zollars as you can!